Although many have questioned myths about drunken elephants wobbling their way through piles of fermenting marula, it’s indisputable that humans have found multiple ways to turn the South African fruit into buzz-worthy beverages, ranging from the commercialized Amarula Cream Liqueur to the more local specialty known as marula beer. In South Africa, turning these tart fruits into beer is largely a female affair. 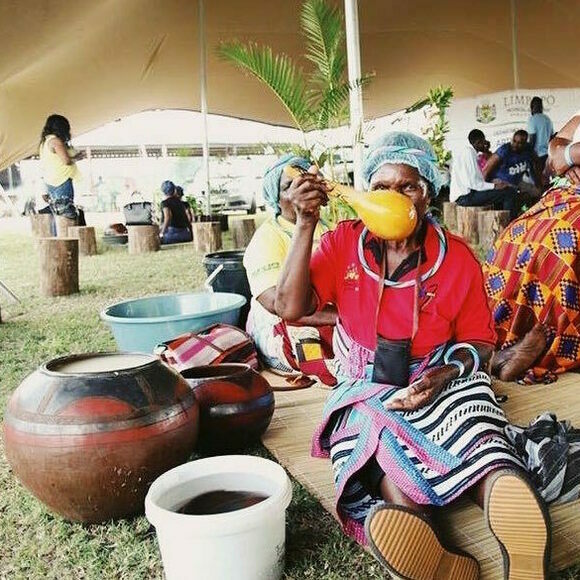 Local women often get together to brew marula beer as a community. Brewers peel and mash the fruits with water, then strain and allow the mixture to ferment for two to four days. When ready, the cloudy brew gets poured into jugs or plastic bottles and shared with family or sold by the road, bringing in essential income for many women in the region. The resulting low-alcohol brew has a slightly sour flavor so treasured that there are more than a few festivals honoring the drink and the marula fruit across South Africa. Some customs require that once the season’s fruits have been transformed into beer, a calabash filled with the brew should be presented to the community’s leader, who must be the first to drink the beverage.